mr matto: There's so much building work going on nearby it makes replacing it difficult. I am going to archive and maybe do a new CM when the building work has finished. 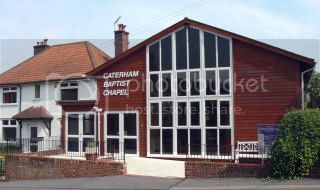 Caterham Baptist Church is a small church nestled between houses, proof that churches do come in all shapes and sizes! I walk past this church everyday on the way to work, I’ve always thought about giving it a church micro; then I received a Christmas card from them through the door, I saw it as a sign! Interestingly the church is opposite Caterham Valley Board School which is currently being redeveloped into houses, it is one of the oldest buildings in Caterham. 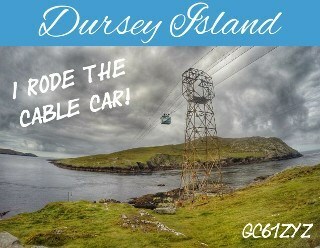 Svaq gur gerr gung zrrgf gur srapr, gura lbh'yy unir ab ceboyrz YBTTVAT guvf pnpur!